Home • • A life spent making mistakes is not only more honorable, but more useful than a life spent doing nothing. We try every single day to achieve something good in our lives, but we do not always succeed. It takes courage to get up every time we fall. It takes wisdom to learn from them. Making mistakes shouldn’t halt us. 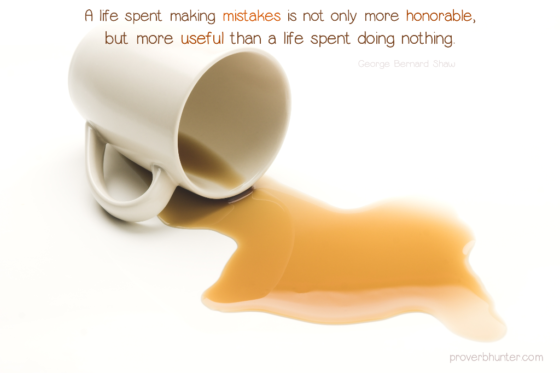 On the contrary, we should consider mistakes a learning tool to succeed next time we try. As the proverb goes, he who makes no mistakes makes nothing, it is honorable to make mistakes, because we tried and it is useful because we learnt.